Enjoy live streaming webcam views, in the Scottish Highlands, overlooking the majestic Glencoe mountains, Ballachulish Bridge and Loch Lihhne in the west coast of the Scottish Highlands. 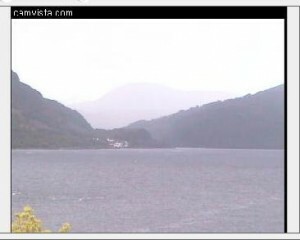 This Scottish Highlands scenic webcam is located at the well known and very popular Scottish Highlands hotel, the Onich hotel and Lochside Gardens. One of the Highlands top rated hotels in the west coast area of the Scottish Highlands in Scotland. If you book a room, or a wedding, or a luch or dinner in the top class restaurant at the Onich hotel, which is located in the small village of Onich, only a few minutes drive from Fort William, you will witness first hand, in the real world, these spectacular live webcam views overlooking the Glencoe Mountains, Ballachulish Bridge and Loch Lihhne from the Onich hotel. This Onich hotel and Lochside Gardens live streaming video camera has become one of Scotland’s most popular and most visited webcams. The Onich hotel web cam is a live streaming camera, with a number of pre-set webcam views overlooking some of the Scottish Highlands most spectacular scenery views. The Onich hotel, located near to Fort William, is really well worth a visit in the real world. A wonderful Scottish Highlands hotel to stay a few nights at, great lunches and dinners in their top rated restaurant. A nice place to enjoy a drink at their hotel bar while witnessing at first hand the magnificent Scottish Highland views.